Chairperson, Committee on Restructuring the Capital Market and Encouraging liquidity on the stock exchange; external director of corporations. 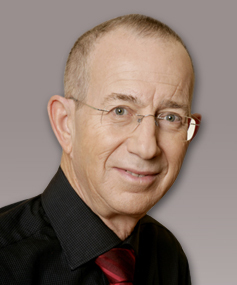 2006-present: Chairman of the Investment Committee and the Audit Committee, Harel-Pia Trust Fund Management, Ltd.
1991-2000: Chairman of the Investment Committee and Audit Committee, Lahak Trust Fund Management Company, Bank Hapoalim Council member, and chairman of the Finance, Budget and Donations Committee, of the Israel Anti-Drug Authority (IADA); Member, Licensing Board, Israel Institute of Internal Auditors; Member, Securities Committee, Bank Mizrahi; expert witness for the State Prosecutor’s Office in the “trial of the bankers;” member of the economic team that recommended the establishment of Bezeq Telecommunications Ltd.
1976: Ph.D., Faculty of Business Administration, New York University. 1971: M.B.A., MA in economics, Faculty of Social Sciences, Hebrew University of Jerusalem. 1968: B.A., in social sciences, Hebrew University of Jerusalem. Financial management; managing portfolios of bonds, options and future contracts; international capital markets; evaluating financial assets. Capital markets, efficiency of capital markets, evaluating financial assets, managing investment portfolios and financial management of business firms. 1. Moshe Ben-Horin and Yoram Kroll, "The Rate of Return – Measuring Portfolio Performance and the Investor's Personal Rate of Return: Existing methods and a Suggested Alternative", The Accountant, (Hebrew) (December 2013): 59-69. 2. Moshe Ben-Horin, Haim K. Levy and Ben Z. Schreiber, "Herding, Heterogeneity and Momentum Trading of Institutional Investors Across Asset Classes", Journal of Reviews on Global Economics, (2013,2): 455-466. 4. Joseph Tzur and Moshe Ben-Horin, "A Note on the Present Value of a Loan", Journal of Theoretical Accounting Research, Vol. 8 issue 1 (Fall 2012): 37-53. 5. Moshe Ben-Horin and Yoram Kroll, "IRR, NPV and PI: Reconciliation", Advances in Financial Education, (Fall 2010), Vol. 8, issues 1&2: (88-105).